Although gold has climbed to another new record of over $1,270 per ounce, there are many who are still very skeptical of gold investment. 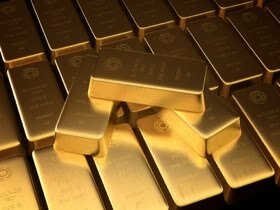 Some analysts in the financial mainstream media continue to warn of a bubble in gold. Meanwhile gold is up 16 percent so far this year. See the following post from The Mess That Greenspan Made. In light of such prognostications from such a closely watched observer, it’s unsurprising to see gold and other precious metals marking big gains. Gold’s up more than 2%, clearing the $1,270 mark, a new record. Shares of Gold-related stocks are sizzling too. One of the arguments for gold of course is that Fed money printing is going to debase the dollar, which will make hard assets such as the yellow metal even more sought after. Here at MarketBeat we’ve been on the record saying that gold is bubbly. We still think so. But if we were actively betting that that bubble is going to pop, we’d be in a world of pain. After taking a reprieve a few months ago gold has continued its upward drive. Put simply: We’ve been wrong so far. Gold is up 16% year to date, much better than the roughly flat S&P performance. But we still think its dangerous to listen to the head-out-to-the-bunker-in-the-salt-flats-with-a-shotgun-a-year’s-supply-of-spam-and-sackful-of-gold-ingots crowd. Gold is working, because it’s working, and it’ll continue working until it doesn’t. Then look out. Based on commentary like this, it would seem that we’ve still got at least a few years to go until gold prices get really crazy and writers like Phillips get even more frustrated. There is still a clearly dismissive view of investing in gold by many in the world today who just don’t seem willing or able – even at this point in the ongoing financial crisis – to consider the possibility that the current monetary system might just be fatally flawed.